Inspired by a Dolce + Gabbana ad, this New York Fashionista bride incorporated the rich red and black lace bridesmaid dresses with the groom's Mediterranean background and bright colors. 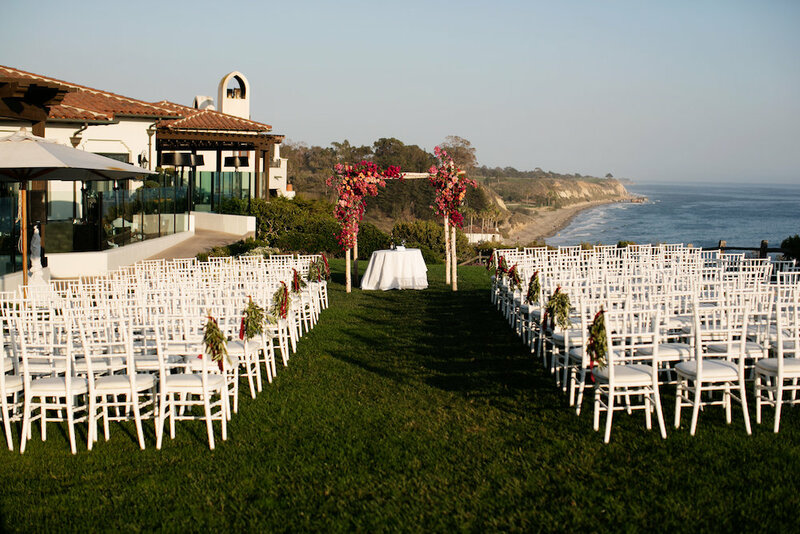 The combination of these two elements made her Bacara Resort and Spa wedding unique and fun. Floral Designer Coco Rose Design had a blast infusing the elements. To balance the dramatic backdrop of the ocean bluff wedding ceremony, Coco Rose Design combined a birch tree altar (which grow in pairs, perfect personification for a union of 2) with a specific shade of bougainvillea, native to both Santa Barbara and Mediterranean cities. The lush and jewel toned chuppah floral framing the black and white nuptials with perfection. The aisle treatments were olive branches hanging with red ribbon on the chairs. 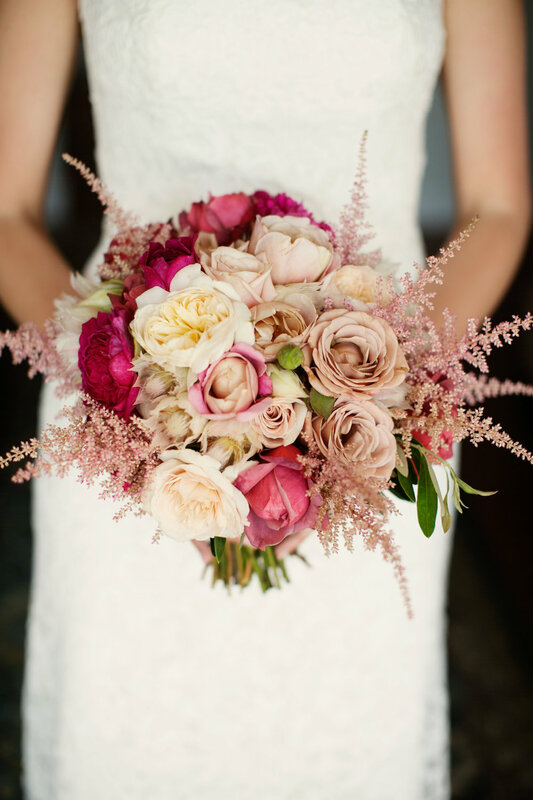 The bride held a fun structured bouquet of estilbe, blushing bride and various Rose Story Farm roses including koko loco, white garden and fuchsia roses, to frame her petite body. The Italian Mediterranean spin continued as a theme at the wedding reception where lemons brought a pop of color napkin treatment. To compliment the jewel toned floral, the couple had hot pink calligraphy menus and table numbers written in Italian. We love how trendy and unique this celebration unfolded!